Design & Print All Types of Labels, Envelopes and Postcards. 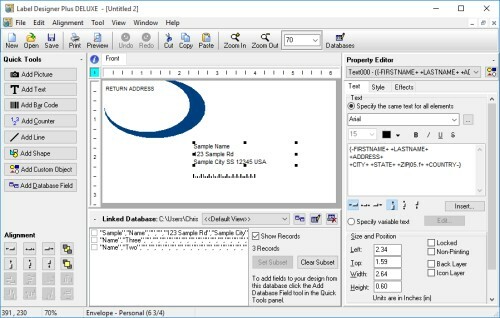 Label Designer Plus DELUXE lets create all types of labels, envelopes and post cards then fully customize them using a rich assortment of design tools, link them to any database then print them yourself on any Windows printer. Create an Address Label, CD Label, Envelope or Post Card FAST! The Design Wizard allows you create a new label, envelope or post card in a matter of seconds! The first step in creating a new label is to use the Design Wizard to select the a layout. 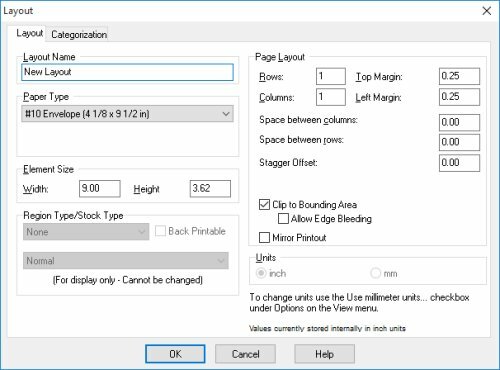 Start by selecting the type of label you want to create based on the label stock you are using of the Common Layouts tab. 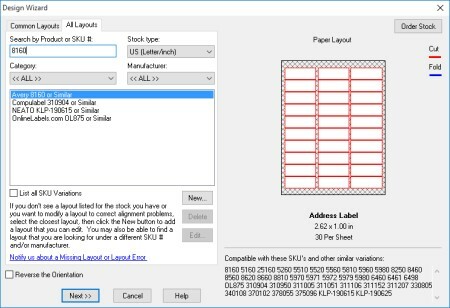 You can also choose from wide variety of specific label stock (or create your own layout) by choosing the All Layouts tab. 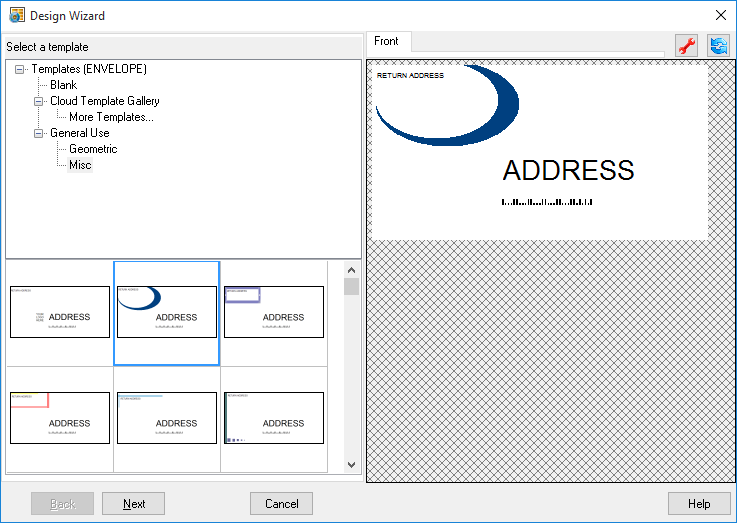 Select One of the Many Included Envelope, Card or Label Templates. After selecting a layout in the Design Wizard you can choose a pre-designed label template from a list of categories, from the Cloud Gallery or choose to start with a blank label. Either way, you can fully customize your design by adding or removing the background, shapes, graphics and text after the Design Wizard is finished. You have complete control over what appears in your design and where it appears. Templates are meant as a starting point that can be further customized or used as is. The Pick Picture screen allows you to easily select and insert any image from a file on your computer into your label. 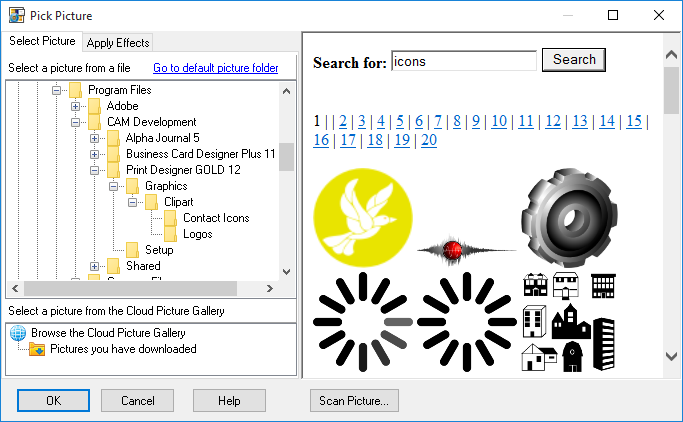 It also allows you to scan an image and apply effects to it. 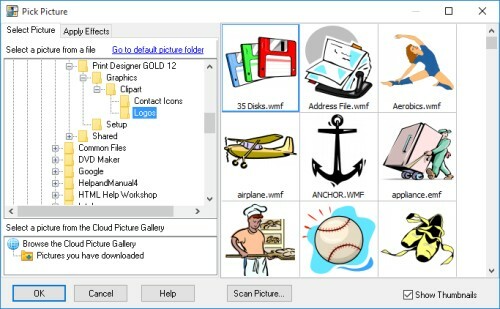 The Cloud Picture Gallery is integrated into the Pick Picture screen and allows you to use one of over 50,000 clipart images in your label just as easily as selecting the image from a file you already have. The gallery is continually updated with new images and is searchable by keyword. 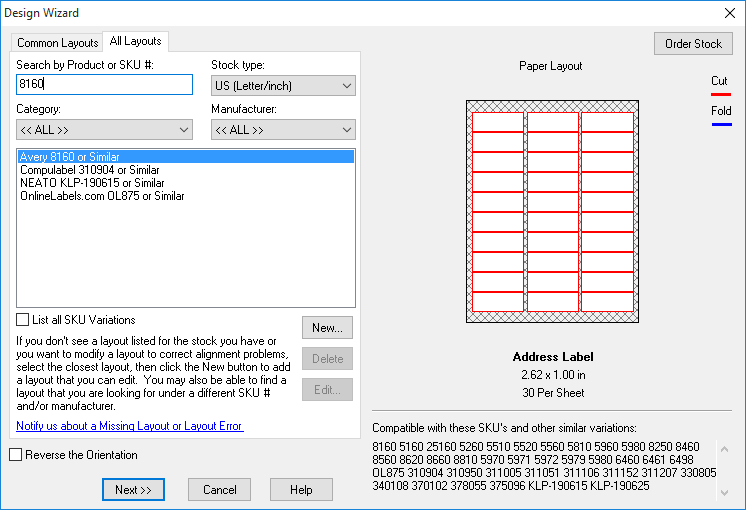 Adjust or Add a Layout to Match the Label Stock You are Using. The Layout screen allows you to adjust the layout of your label. The layout defines the number of rows and columns, the space between rows and columns, page margins and other options. Adjustments made on this screen allow you to correct alignment issues on the printer and use custom/proprietary label stock that is not listed in the software. 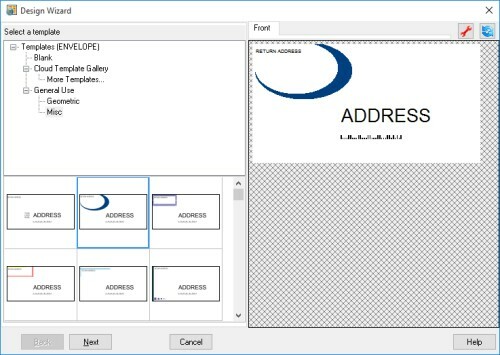 The built in Address Book can be used to store multiple addresses for creating mailing labels very easily or for selecting an address when creating single address labels. 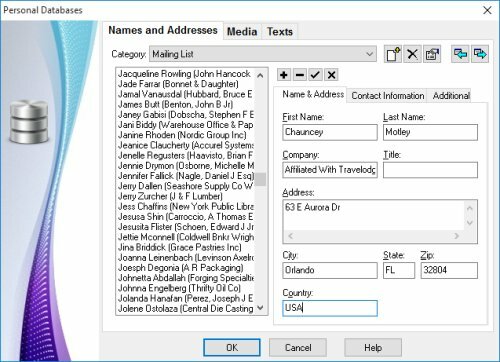 Multiple categories allow you to organize your addresses the way you want for multiple mailings and user-definable fields let you store extra information about each contact. Link Labels to a Database. 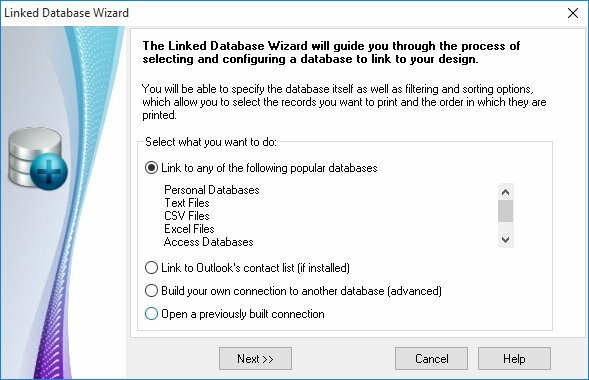 The Linked Database Wizard guides you through the process of selecting and configuring a database to link to your label. It lets you choose from just about any database your system supports, such as text files, CSV files, Excel files, Access databases and the built-in Personal Databases. Once a database is linked you can pull data from selected fields to be displayed in your label. For example, you may have a field in the database called name which you can use to display the name on each of a set of labels. Sort Records by Any Field in a Linked Database. Another use of the Linked Database Wizard is to specify sorting rules. 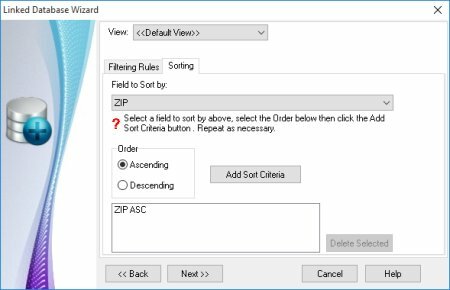 You can sort the records by one or more fields in ascending or descending order. When you print the labels records will be printed in the order you specified. Filter Records in a Linked Database. After a database is linked in the first step of the Linked Database Wizard you can specify filtering rules. 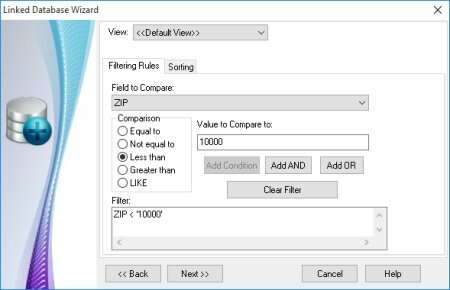 This allows you to include/exclude any records you want based on the data being equal to, not equal to, greater than, less than or LIKE a specified value. You can also simply pick individual records from a list by checking them off. When picking records from a list, only the checked records will be printed. 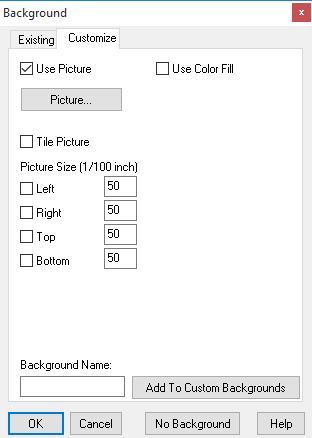 Select or Define a Background using a Picture, Border and/or Gradient Fill. 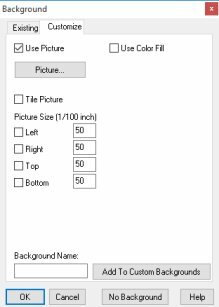 The Background screen allows you to select an existing background, customize the selected background or create your own background. 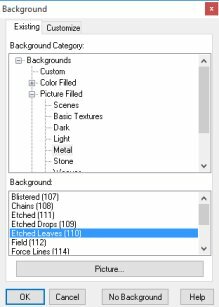 Backgrounds consist of either a picture, a gradient fill, a solid color or a combination of each. You can even add backgrounds that you design to a custom list so they can easily be used in labels you create in the future. The Print screen is displayed when you choose to print your label. It allows you to specify the number to print, the starting position on the first sheet and the sides to print (for cards). You can also choose to print crop and/or corner marks for assistance in cutting the cards out yourself instead of using pre-cut card stock. 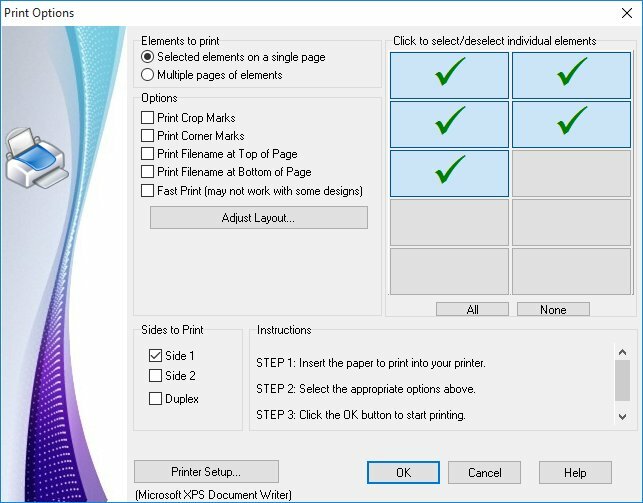 The Print screen also offer a way to graphically select which labels or cards on a single sheet you want to print. Using this option is a great way to save partially used paper stock. You simply check the elements you want to print. Print Labels Based on the Number of Records in a Linked Database. 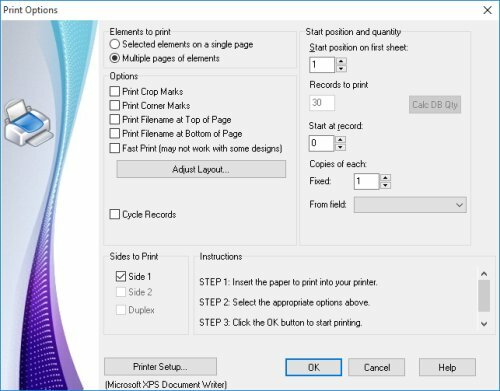 When there is a database linked to your design the Print screen gives you additional options that allow you to specify the starting record and the number of copies of each record to print. You can now even select a field that determines how many times each record will print. Use images, textures, gradient and solid fills to create a custom background for your labels and envelopes. 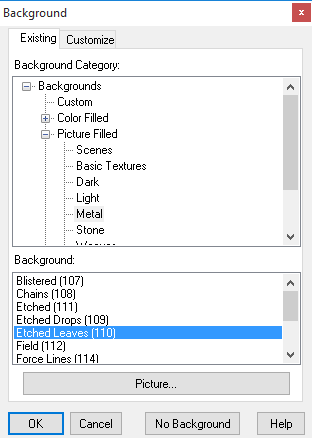 Tons of pre-defined backgrounds are included or create your own. Draw lines, rectangles, triangles, ellipses, diamonds and more. Use blending to make the background semi-transparent, blending into whatever is behind the shape. 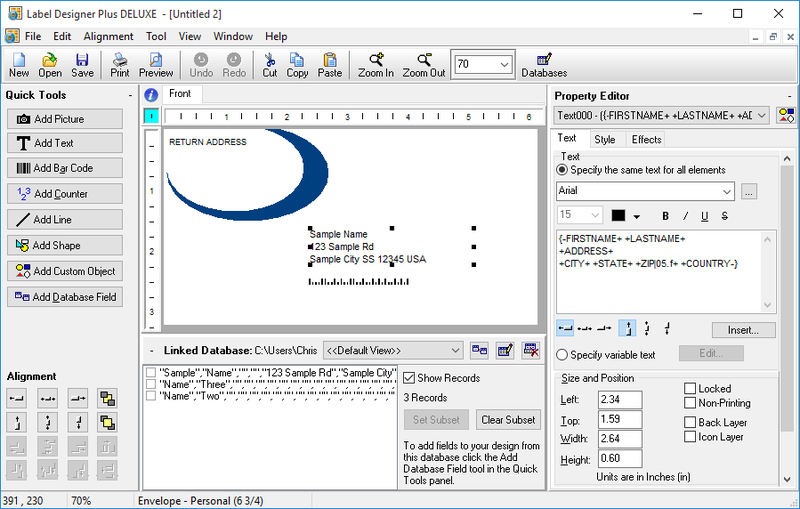 Our label software lets you draw spiral, radial, arc and variable size text. Change the font, size, color, style, shadow rotation and blending. You can even display text as a barcode, an auto-increment counter or the current date and/or time. Mix fonts, styles and colors of text within a single rich text object. Use a gradient or select a texture or image to fill text and shape objects to create outstanding custom labels. Alpha Blending allows you to blend the gradient or texture into whatever is behind it. Design as many labels and print as many copies as you want for a one time license charge. You can't beat our label software!